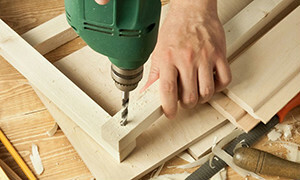 AfterTheBuilders Ltd. offers full range of handyman services in Peckham, SE15. We can handle all types of tasks from simple odd jobs to complicated assembly jobs. Give us a call today! Do you live in Peckham, SE15? Do you need to find available handyman services for your home? We are confident that we’ll be your best choice. See, we are the best in this business and are very professional. Our agency is recognisable in London. The truth is, we have worked really hard to be where we are now and all the effort we put into this is finally paying off. Our customers keep coming back and they are very delighted with the final results every time we do something for them. You can make an appointment if you’re interested. Give us a chance. A couple of days ago the wind make my living room window bump and it broke. I called your company and you came as quickly as you could. This is what I call convenience. Every time there is a handyman task I need to complete in my house, I call you. Thank you for supporting me for so many years. 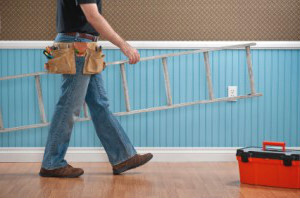 Is there a handyman service you want to provide your home with but never really get to it? Just get it over with by calling us and using our professional handyman services. We are located in Peckham, SE15, where we have been operating for long enough to know how to provide our clients with the best services in the area. We are experienced, motivated, certified, insured and ready to deal with any kind of installing, repair and maintenance work that you need. Our prices are competitive and give everyone the chance to afford our help without a problem. Don’t hesitate to call us. The average Londoner don’t have much free time to stay at home and spend some quality time with their family, let alone repair and fix damages at the household. Don’t postpone booking for our handyman services because we can help you save a lot of money. 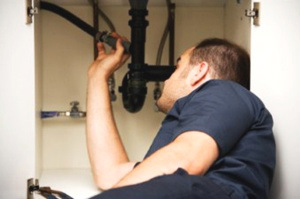 Every minor or significant leakage, electric or heating issue adds extra amount of money to your monthly bills. Our handyman technicians work relentlessly, seven days a week in Peckham, SE15, and they can basically help you with every task in the household. Call us now and get a free consultation and a quote.